A qualified social worker sine 2004 Sarah has worked with people throughout the life cycle for many years but with a particular focus and passion for working with children, adolescents and family units. 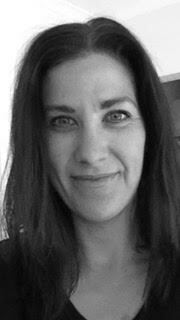 As a social worker Sarah believes in providing solution focused interventions and counselling that empowers clients building resilience and self strength of body and mind. Sarah has a lengthy self yoga practice and has found both the physical and psychological benefits of yoga an essential tool to assist her in coping with the stressful demands of her carer and personal life as mother to two boys. Sarah has long suspected that using yogic techniques such as postures and breath work to compliment more traditional verbal counselling would provide people with additional strategies to better adjust and cope with life challenges and build greater sense of personal strength. 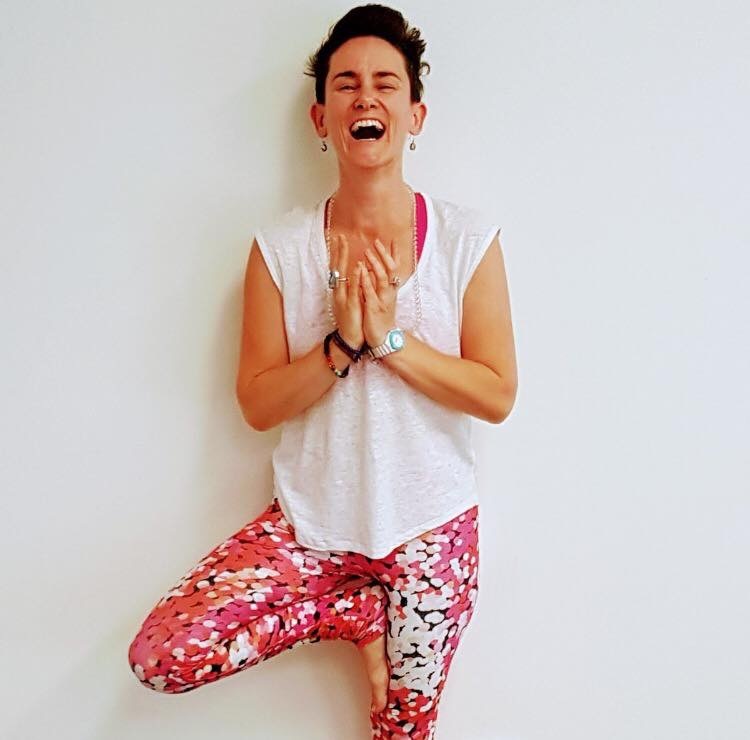 Looking to find a way to combine two passions, Sarah completed her 200 hour yoga teacher training in 2015 at the Byron Yoga centre, and has been teaching yoga classes ever since. Sarah has completed further training in Yin yoga, Kids and teens yoga, and pre and post natal yoga. Finally ready to venture out and create a space of peace, nurture and personal growth Nest Yoga and Counselling was born. Having grown up in Perth, Cody discovered yoga at the age of 18 and soon became passionate about the ancient spiritual discipline and its extensive wellness benefits. Having trained on the beautiful coast of Byron Bay in Queensland, Cody completed herCertificate IV 500 Hour Yoga Teacher Training Course in 2015. Her teaching incorporates not only the physical aspects of yoga but also the spiritual aspects, guiding you through rejuvenating pranayama and mediation techniques to help calm the mind and guide you inwards. Cody has travelled all around the world and has first-hand experience of the profound connections that you can make with places, people and especially with self. Yoga teaching came as a natural progression for Cody as she knew her Dharma (calling) was to ignite a wild-fire within each of us, and help to discover what it is that moves us. “Yoga is really an extension or a taste of my soul,” Cody explains. Having consistently practised yoga for over 7 years, Cody seeks to challenge you to question, to explore and to play. Her deep and soulful practice resonates with students of all levels, uplifting you along the way. Rachel initially loved the physical benefits her yoga practice brought to her healthy holistic life. Being surrounded by people in a very busy work environment it was made easier by the learning of the other aspects of yoga. Starting to awaken the soul, practicing mindfulness and opening the mind and heart to endless possibilities came a calling to explore and dive deeper into the practice of yoga. Trained in Bhakti yoga, Rachael’s classes provide a space to nurture, be present, and to be compassionate to oneself. Rachael teaches students to become aware of the connections of mind, body, and breath. Leaving with an open heart and grounded feet. Yoga alliance registered, 220hr graduate with Yoga Arts, and currently studying Mindful Birth at Yoga space. Teaching from the heart, Karen loves to combine creative sequencing, yogic philosophy and some humour into her classes. After all, yoga is fun too! Trained in the ISHTA lineage of yoga (Integrated Science of Hatha Tantra and Ayurveda), a class with Karen will leave you feeling peaceful, balanced, nourished and content regardless of how you arrived on the mat. Karen found yoga in her early twenties (or maybe it was the other way around) after a childhood that had more downs than ups. However, since committing to teacher training, it has absolutely transformed Karen’s life, with the most valuable lesson being self-love. Karen acknowledges the amazing teachers who have helped her on her yoga journey and continues to learn every single day recognising that she is now an eternal student of yoga. “The success of yoga does not lie in the ability to perform postures but in how it positively changes the way we live our life and our relationships’. I attended my first yoga class in 2009. I spent the previous 18 years to that dancing competitively and professionally and was looking for something to keep my fitness levels and flexibility in order – never did I expect the profound effect yoga was going to have on my life. After my first class I very quickly began to notice not only the physical benefits but the overwhelming mental benefits of yoga. I begin to practise regularly and my love for yoga has only grown as time goes on. I completed 200hr Vinyassa/Hatha training in April 2016 and Yin Yoga training in March 2017. Teacher training was life changing for me and it has allowed me to pursue my purpose and passion in life. I am a calmer and better person for doing yoga. I love that yoga brings people from all different walks of life together and I am privileged and honoured to share what I have learnt with students. The journey is never ending and I’m forever grateful for the opportunity to share my passion and all I am learning along the way.